Kokaquilts... where there's lots started... and even a few finishes! Well, one of us has been v. busy...and it's not me!! Glenys popped in the other evening to show me her latest work - we are both doing the Material Obsession BOM "40 Shades of Grey" quilt. She said Block 3 took ages to do and, because of the size of the hexi's, she couldn't really watch T.V. as well as hand piecing -they really were quite fiddily. Once each teeny tiny hexi was completed, they were hand stitched onto the black/purple spot circle, and then.. machine appliqued onto a colourful circle, and then...onto a light white/grey background square. The teeny tiny hexi's are so small, & so v. cute!! They look great surrounded with the "filler" black/grey spot & light grey HST pieces don't they? We are using a grey/black spot fabric that will hopefully link everything together, but we each have a different spot for this. Looking at the pics now, I can see that the spot fabric certainly makes all the other fabrics "pop"!!!! So here's what I have done so far, plus a close up of todays "flower basket". Both quilts are looking good. They are quite different. I like the mix of fabrics. Gosh there is a lot of work in those quilts. Looking good though. Thanks so much for taking the time to leave me a comment. I love to hear your thoughts. For those of you who are a 'no-reply' blogger, I will respond within the comments section, so please do check back if you've asked a question or wish to chat. Hi I'm Linda, and I live in Auckland, New Zealand. I am a mother of two grown up children & granny to three now! 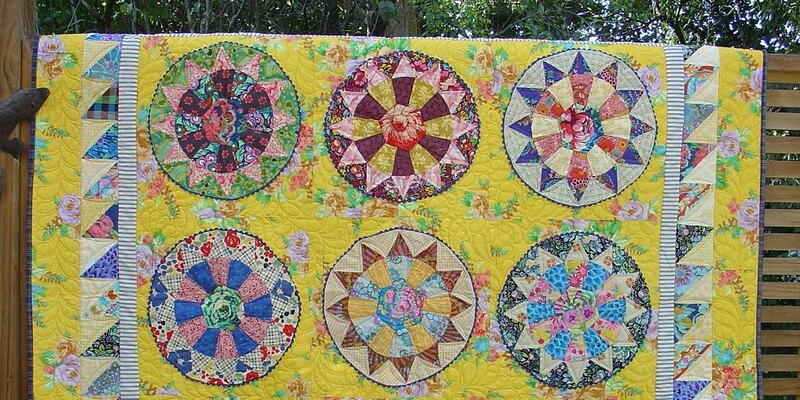 I've been making quilts on & off for a few years, I particularly enjoy making colourful scrappy quilts. I am sharing bits and bobs of my quilty journey here. 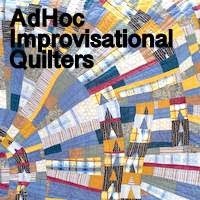 Can a beginner make the Bad Girl quilt?